We will help you get started and make sure you have all the information you need. We will identify the correct path and the strategy best suited to your situation. If you’d like to extend your stay, then we are more than happy to clarify what are your options. We can also help you with questions about your visa and how to renew it. Consultations are offered face-to-face at our Gold Coast office, through Skype or over the phone. After the consultation you will be provided with with written letter of advice explaing everything discussed in the consultation. This letter of advice is available to you in English, French, Spanish or Italian. 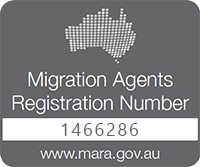 Any fees paid for a consultation will be deducted from the fees for any future migration or educational services.